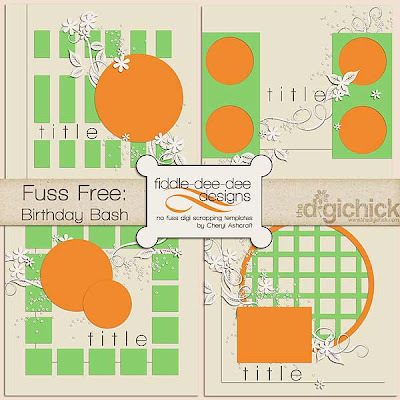 Fiddle-Dee-Dee Designs: The Digichick Birthday Bash and iNSD Storewide Sale! The Digichick Birthday Bash and iNSD Storewide Sale! The Digichick is also celebrating birthday number five . . . yes, that's five years . . . and there is a month long Birthday Bash! You'll find coordinating birthday products and designers will be spotlighted on different days of the month. Here's my template pack for the Birthday Bash (image linked to the shop). It's 50% off for the month of May! And to celebrate iNSD (May 1, 2010), the remaining products in my store are 30% off!